Cognitive computing means giving computers the ability to work out complex problems for themselves. Just like humans, cognitive computers benefit greatly from experience, learning better ways to solve problems with each encounter. When a traditional system of rules finds a task impossible, cognitive computing sees only an opportunity to expand its knowledge. The necessity for cognitive computing in the Internet of Things (IoT) arises from the importance of data in modern business. In the smart IoT venues of the future, everyone from startups to enterprises to homeowners will use data to make decisions using facts rather than instincts. Cognitive computing uses data and responds to changes within it to make better decisions on the basis of specific learning from past experiences, compared with a rule-based decision system. How we define that data is changing, though. Soon, data itself will require this level of computing to extract, making this new method even more valuable to the development of the IoT. While we are still a long way from talking to our operating systems like they’re our friends, cognitive computing has some immediate applications in the IoT that will allow businesses to use their devices to their fullest potentials. Consider cognitive computing from a perspective of its immediate return on investment. While no computing system is close to true artificial intelligence yet, breaking up the duties of the cognitive machine into smaller tasks allows it to perform cognitive duties in specific fields with great success. Through bite-sized chunks of cognitive computing such as planning, forecasting, reasoning, and recognizing information such as text and images, companies can incorporate cognitive computing into their existing IoT and immediately reap the benefits. The banking industry already has several uses for cognitive computing in the IoT, specifically in fraud detection. Previously, detecting fraud relied on rules-based analysis. Is the card being used in another state? Is the card being used for a foreign transaction at an odd hour? With cognitive computing, those rules become small parts of a more comprehensive whole, allowing banks to learn consumers’ spending habits, project the likelihoods of future purchases, and put a freeze on a card if the usage pattern indicates the card is being used fraudulently. As cognitive computing and the IoT grow together, businesses big and small will benefit from the autonomous capabilities of the new technologies. In the near future, an IoT powered by cognitive computing will lead a revolution in increased productivity. As more autonomous systems enter the IoT, businesses will need to learn new skills to take advantage of the expanded potential. Cognitive computing’s ability to forecast more accurately means businesses must become more familiar with anticipatory and predictive systems. As the communication abilities of the technology become more robust, users will need to learn how to respond to and interact with the devices’ queries. Businesses will need to train decision makers in interpreting the advanced data models that cognitive computers can produce in order to reap the full benefits of the technology. Eventually, cognitive computing in the IoT will lead to products that can make instant, autonomous business decisions without human intervention. From customer interaction to manufacturing and maintenance of equipment, processes that once required guesswork and reactive management will have fact-based, proactive solutions. Right now, companies don’t have the talent they need to realize the full potential of all the data they measure. Cognitive computing in the IoT will allow data-collection and data-interpreting machines to communicate with one another quickly and completely, opening the door for a surge of new business strategies. Thankfully, the early generations of these products are already here. Google’s DeepMind is the most visible example, replicating some basic functions of human thought with faster processing speeds to deliver actionable answers to data-based questions. As devices like these become more advanced and more prominent in the business world, companies will be able to test the limits of their application to the extreme, putting data and smart computing to work in ways that will change the landscape of modern business as we know it. 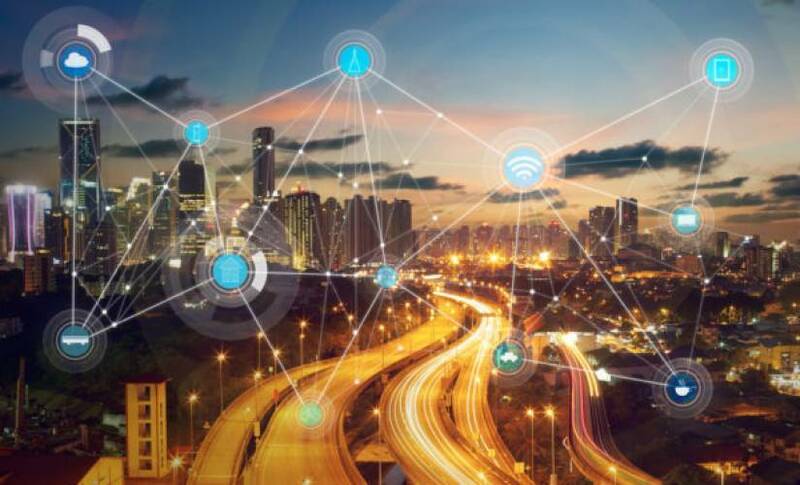 The real benefits in the world of millions of devices and sensors connected in an IoT world comes from having a learning engine closer to each sensor, displacing any existing rules. This way, decision-making becomes individual and specific to the sensor or node and purely based on its own experience. For example, in the case of healthcare, health trends and past learning for a specific person is used against a fixed threshold in decision-making. The same idea can be applied across other industries as well. And because all those devices and sensors are interconnected, their exchange of information and collective learning can offset the significant data and the time required for learning while also preparing for the dynamic needs of the solution. For example, a particular node exposed to a cyberattack can pass this learning over the network on the fly, which will help in safeguarding the rest of the nodes. Cognitive computing in the IoT presents as many challenges as it solves, but the challenges will be the kind that businesses want. Rather than worry that they don’t have the talent or resources to collect, read, and act upon their data, companies will soon wonder what to do with the bounty of information and analytics at their fingertips. Luckily, cognitive computing power will be there to help them along the way. The author is the chief technology officer for Wipro, a global information technology, consulting, and outsourcing company. He has more than 25 years of enterprise IT experience, including consulting, application development, and technology development spanning multiple industry segments and diverse technology areas.